Learn how to use modulators in Bitwig Studio. The second full version is an absolute belter, adding a wealth of enhancements and tweaks, and introducing a new modulation architecture that’s sure to be copied by other DAW developers in the future. We make modulation bounce. Enjoy the bouncing ball preset. We recently chatted with Zombie Nation about his roots in the late-90s warehouse techno scene, his creative process, his collaboration with Tiga, and, of course, Bitwig Studio. Join us at Cruise Control Studios to check out Bitwig Studio 2.2. We're presenting Bitwig Studio at this year's IMSTA FESTA Toronto. We are excited to be part of the Sonicwire seminar at NoMaps Sapporo, October 12. Bitwig Studio 2.2 is out now, with Ableton Link, new devices and modulators and much more. We're happy to confirm that the current version of Bitwig Studio on macOS High Sierra passed all our tests and is working fine. 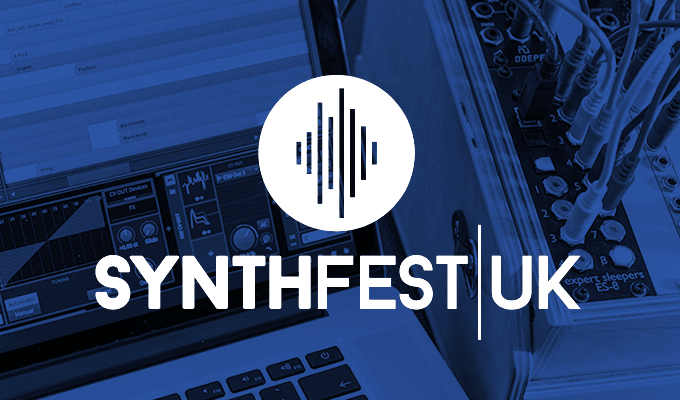 We'll be attending SynthFest UK in Sheffield, October 7, 2017. Come synth with us. Join the Bitwig master class at IMSTA Festa in Berlin, October 28. Tune into this free Computer Music Masterclass video tutorial with Secret Cinema. Join us at SAE Berlin, September 22, 18:00-20:00. Learn some of Bitwig Studio's key features and get a chance to win a license. 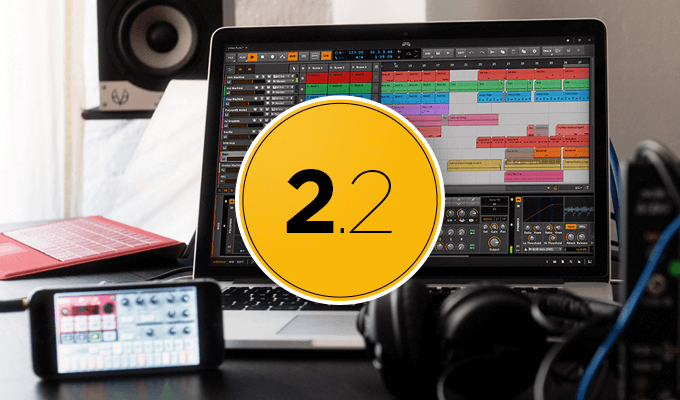 Announcing Bitwig Studio 2.2, with Ableton Link, new devices and modulators and much more. Bitwig is proud to announce that we're presenting Bitwig Studio at this year's IMSTA FESTA NEW YORK. Attack Magazine reviews Bitwig Studio 2. Fact Magazines Tech Editor, Scott Wilson, tests Bitwig Studio 2 new features. Sound on Sound Review of Bitwig Studio 2. Read the verdict of Future Music Magazine about our latest version: Bitwig Studio 2. Bitwig will participate at this year's IMSTA FESTA Chicago, co-hosted by SAE Institute. Bitwig Benelux distributor Amptec is setting sail for a demo tour throughout BeneLux. In 1 hour and 13 minutes Robin Vincent covers new features such as the Modulators, AMP, Menu system and everything that's cool about Bitwig Studio 2, plus additional things he likes about Bitwig Studio in general. Check out these awesome free sound libraries, made exclusively for and with Bitwig Studio. Bitwig Studio 2.1 is out now, packed with loads of fixes and improvements, alongside great new features like MIDI Clock Slave functionality, a new Amp device and lots of sound content! Danny J Lewis alias Tate Morden made this deep techno project avaliable to the community. Grab it from blend.io now. Marvel at these mad Modulation Machines from the Bitwig community. A recap of a fantastic Superbooth17 - shout-outs and impressions. We collaborated with clock and sync specialists E-RM Erfindungsbüro. See you at Superbooth17 - meet the team, try out the hardware integration, watch the Gesprächskonzert, and jam with us! This course, by Bitwig Certified Professional Thavius Beck, shows you how Bitwig Studio 2 can become the pulsing heart of your hardware/software studio! Explore Bitwig Studio 2's modulators in this course from AskVideo with Thavius Beck. Announcing Bitwig Studio 2.1 - with MIDI Clock Slave functionality and a new Amp device - read all about it. Beta testing starts now! The Irrupt Eurorack sound package is here. We're celebrating our 3rd birthday and the launch of Bitwig Studio 2. Get your Bitwig branded SSD drive from Angelbird. Learn how to sidechain in Bitwig Studio in this step-by-step tutorial. Thavius Beck demonstrates his favorite Bitwig Studio 2 features. Bitwig Studio 2 is out, get it now. A 20+ video-tutorial course from AskVideo with Thavius Beck. "...the new release features some innovative modulation routing options..."
"...new modulation capabilities that have opened up an infinite web of possibilities." We're happy to announce, that we will be attending NAMM show in Anaheim (USA), January 19-22. Introducing a new license model: get 12 months of free upgrades. Alongside our Bitwig Studio 2 announcement, we'd like to take this occasion to give you a glimpse of what's going on behind the scenes.